It’s important to have a few statement pieces in your wardrobe that show off your personality and spark up conversations. 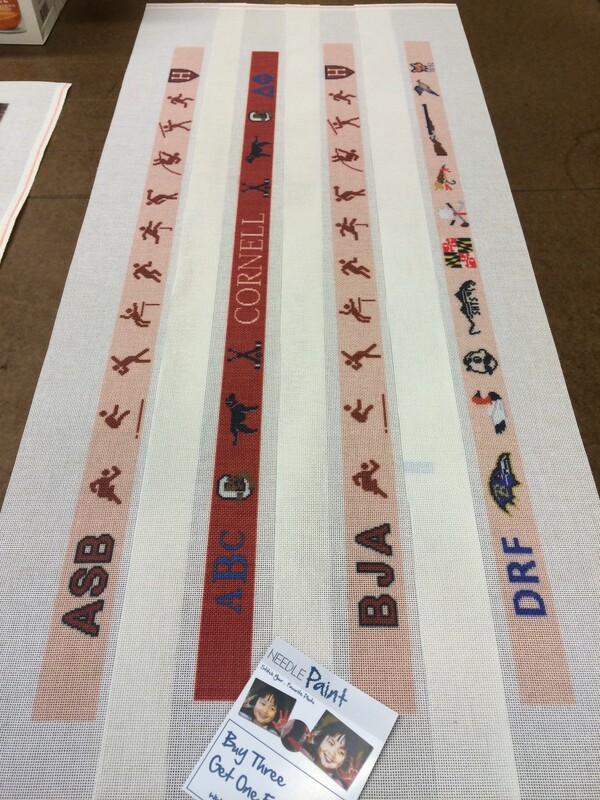 One of our most popular products, our custom needlepoint belts, is a great way to break away from the average dress belt and into something a little bit more fun. We decided to take that same idea and put create customized needlepoint wallets to add some color to an accessory you use every single day. 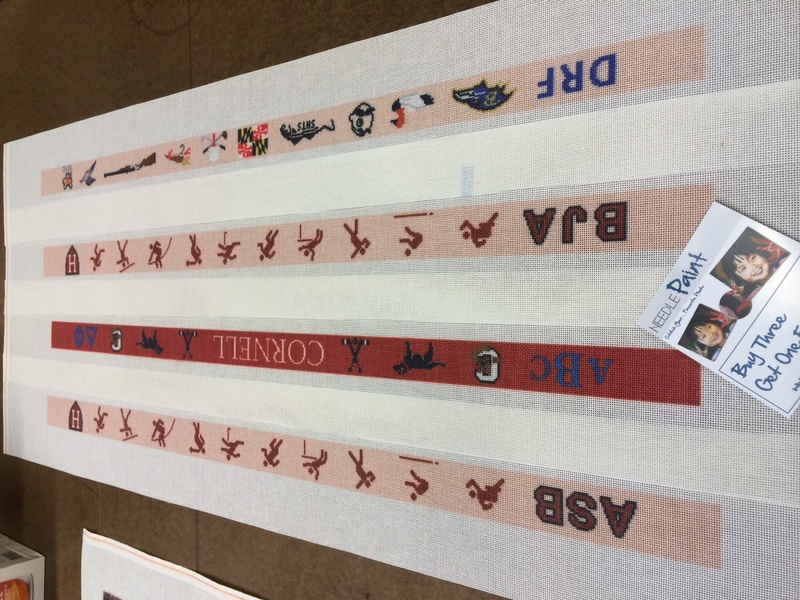 A spotlight on our custom monogram needlepoint wallets! There are few accessories as perfect for needlepoint customization as wallets. The healthy surface area on the outside of the leather allows for big, colorful, and detailed designs showcasing whatever the owner’s favorite hobbies are, giving plenty of room for you to customize 100% of the wallet. One of our most popular styles is a custom needlepoint monogram wallet. Some choose to have a dual-sided monogram, while others go for a classic design like nautical flags or golf clubs. Whether you’re looking for a way to spoil yourself, or the perfect way to spoil a loved one, our custom needlepoint wallets should do the trick. As always, our products are stitched by hand, just for you. 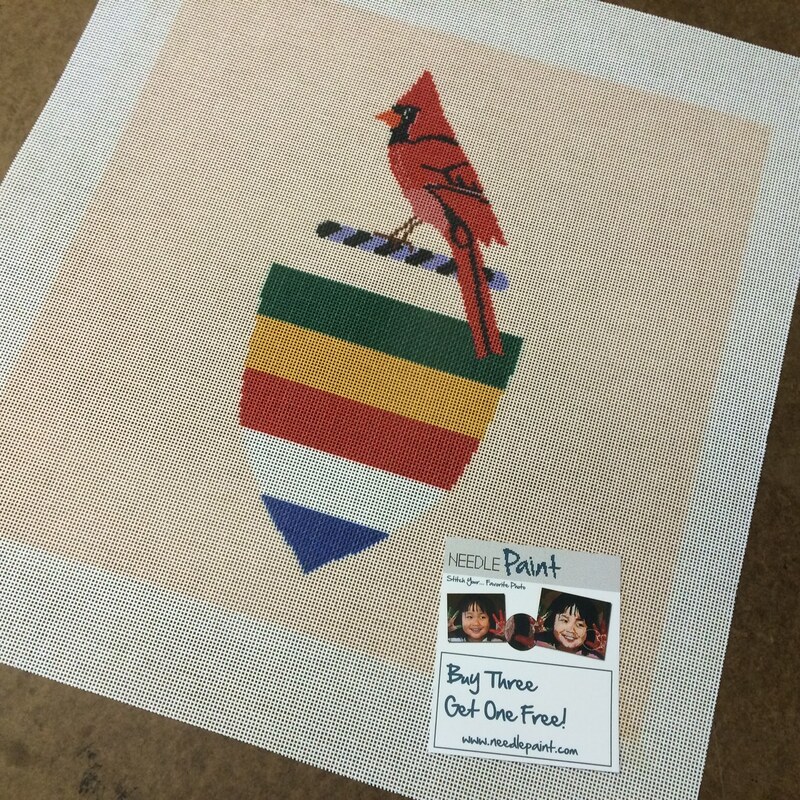 If you prefer to stitch your own, we also provide custom wallet needlepoint canvas kits that make for a great project. We’ve been off to a great start this week. If you are not following our facebook page, then I want to let you know that we are in an online contest! If we win, we will offer a 30% discount on your next order (if you mention this blog post). To see the contest click here! Scroll down to the bottom of the page and please vote for NeedlePaint! Customer satisfaction is our number one goal, so it feels great to hear back from you. From Seth and Karen. 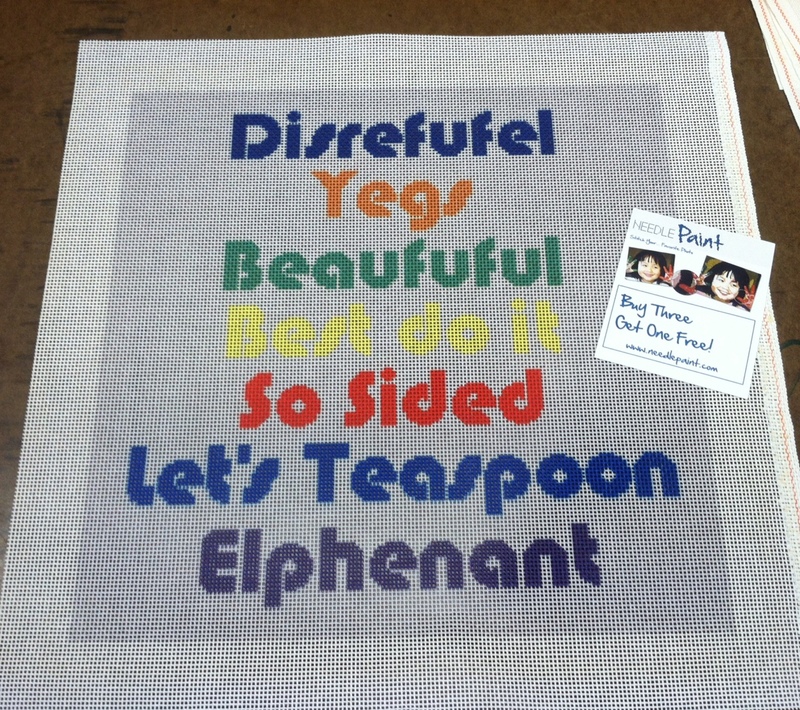 And now onto the fun custom needlepoint kits we make last week! 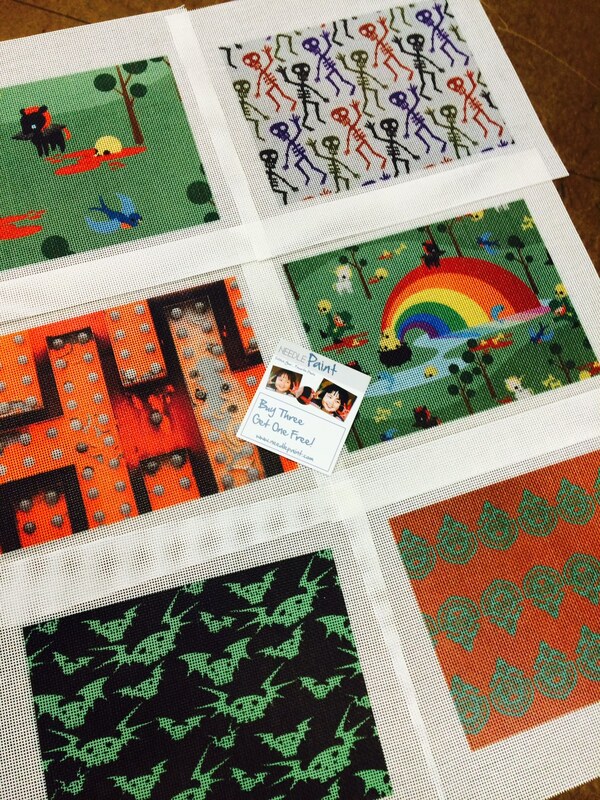 Spooky needlepoint kits and more this week! I love all the colors in these projects! 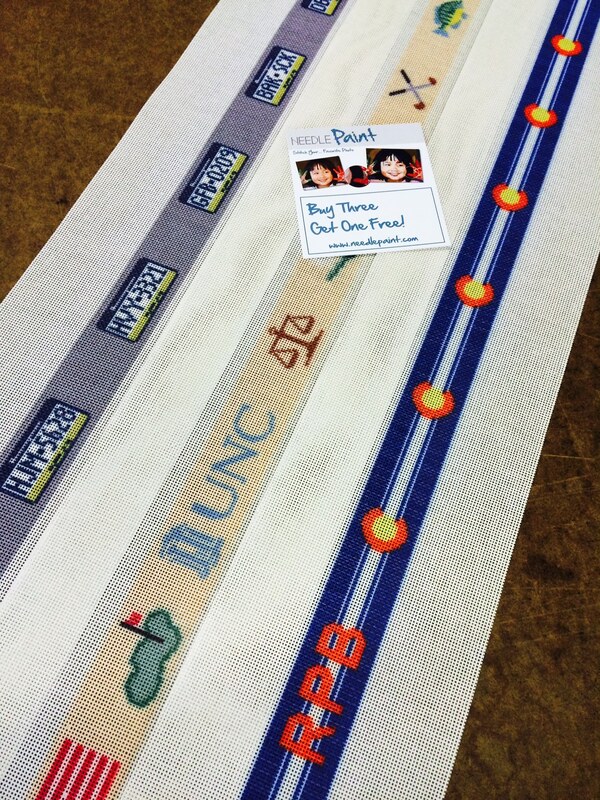 Next are some more custom needlepoint belts. The Pennsylvania license plates include the stitchers monogram snuck into the design! 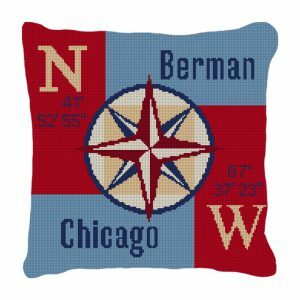 Below are some custom needlepoint pillow kits, the upper right is an somewhat abstract sailing scene that is going to look great! 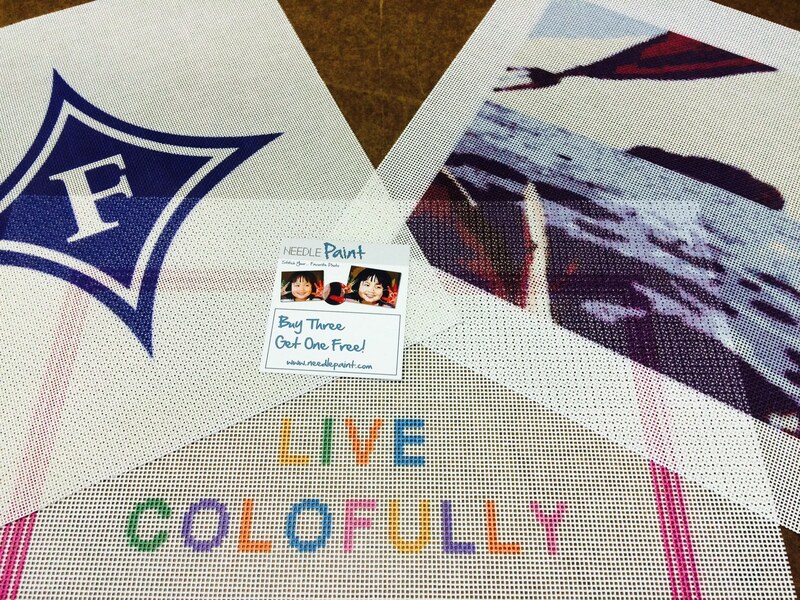 The Live Colorfully is a special project that you will see again in the future. Another week and more great canvases. 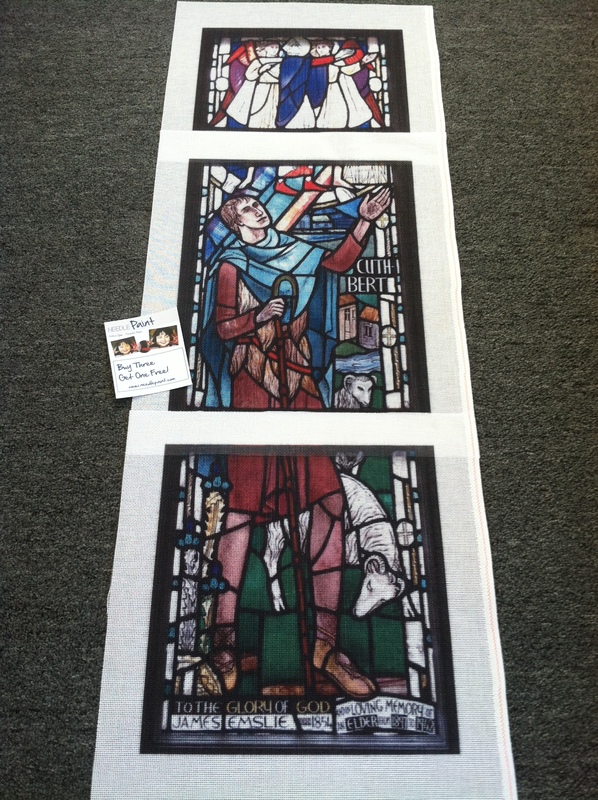 The first custom needlepoint project is sections of a stain glass window at the Parish of St. Cuthbert in Edinburgh. The image came from a photo take there, and look at how detailed the canvas turned out! This was done on 14 mesh and each panel is 12 inches wide. 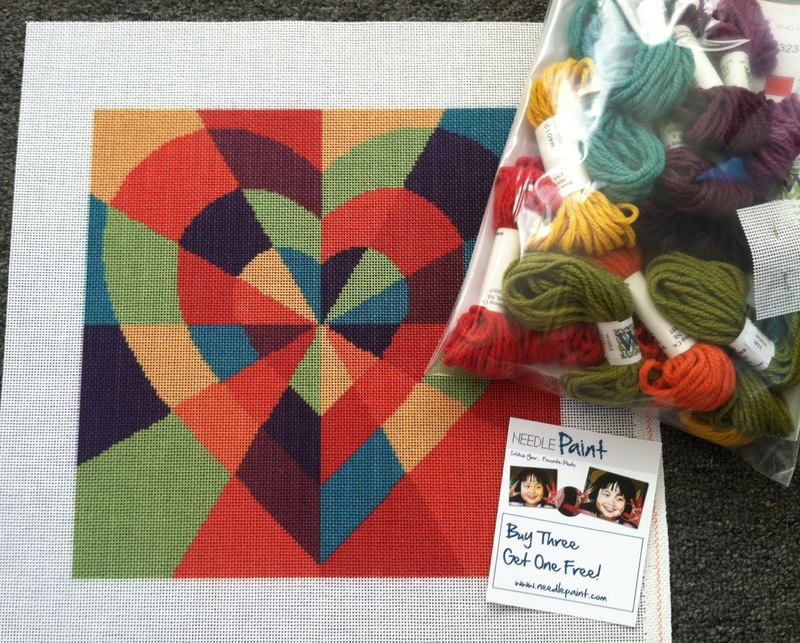 The second needlepoint kit is our Inlaid Heart Needlepoint Kit. 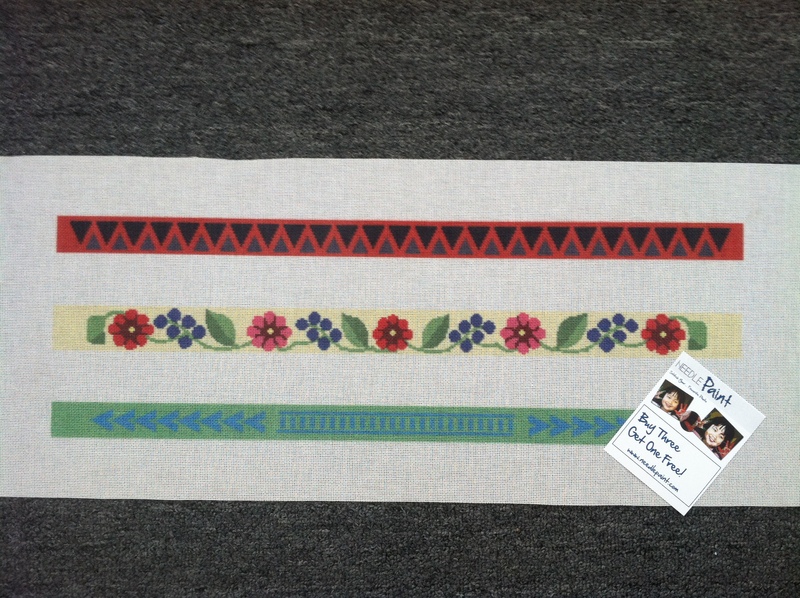 The colors and design are amazing, I can’t wait to see this stitched! 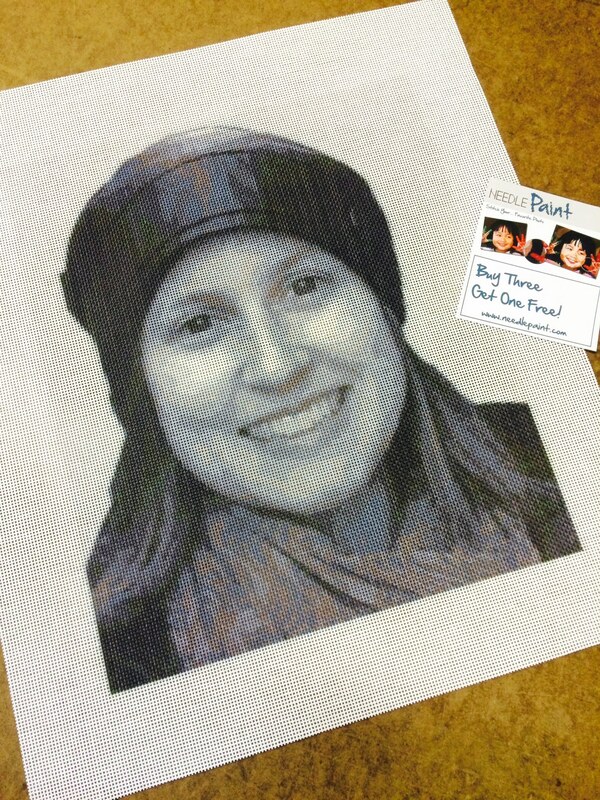 Go to our NeedlePaint.com to to turn your photo into needlepoint! 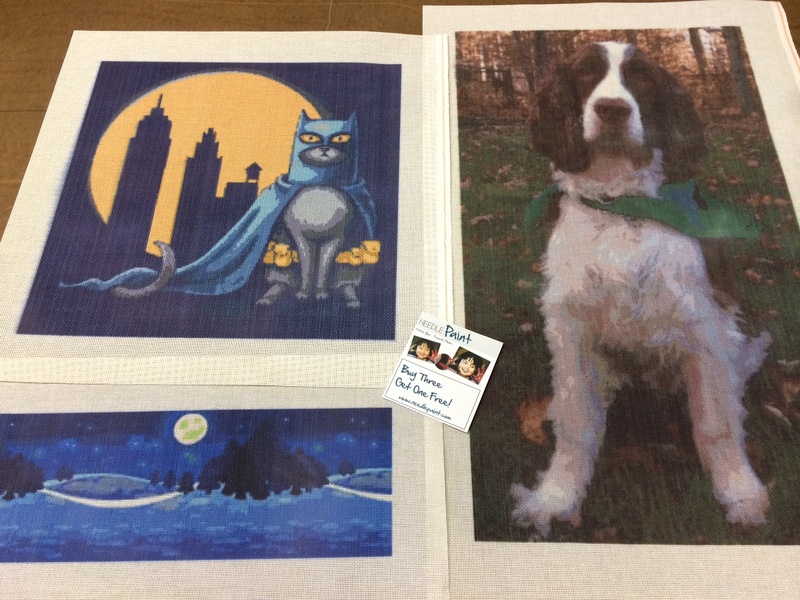 Some Favorite Custom Needlepoint Canvases from this week! If you’ve been following the blog, you’ll notice we post a lot of new designs. 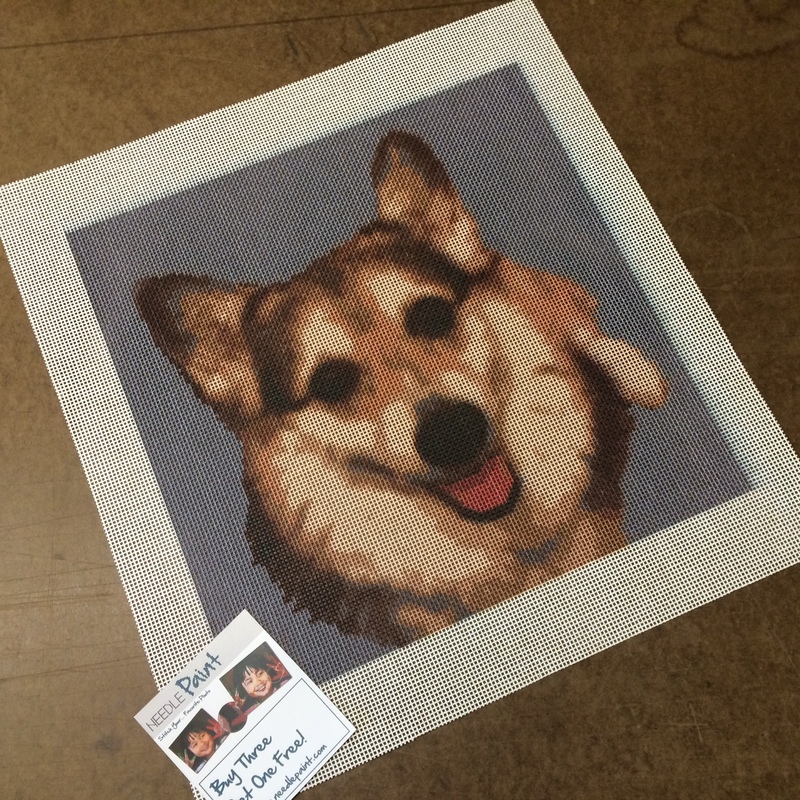 But, when I see the great custom needlepoint canvases we make, I often want to share those pictures, too.You should see my phone! Sorry the pictures are not the best quality, but the canvases look great and will look even better when they are finished! 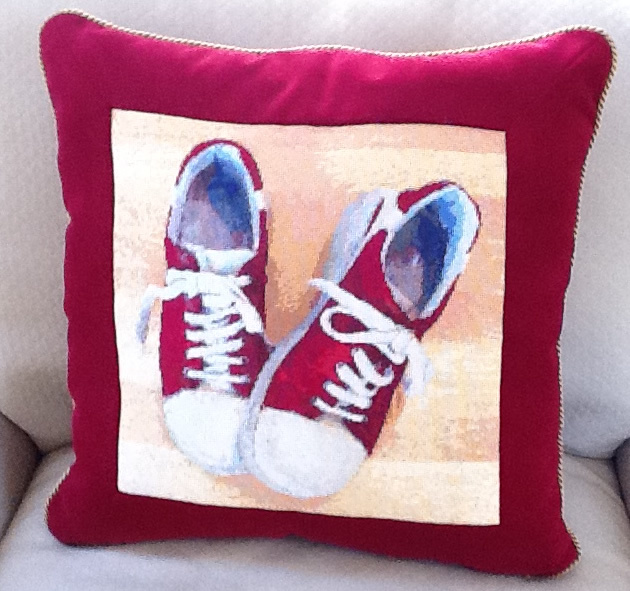 Do you remember the custom needlepoint canvas I loved and posted about a while back? If you don’t remember, here is the link. The customer said it was a labor of love, but totally worth it! Look at the pillow she made and tell her if you love it! 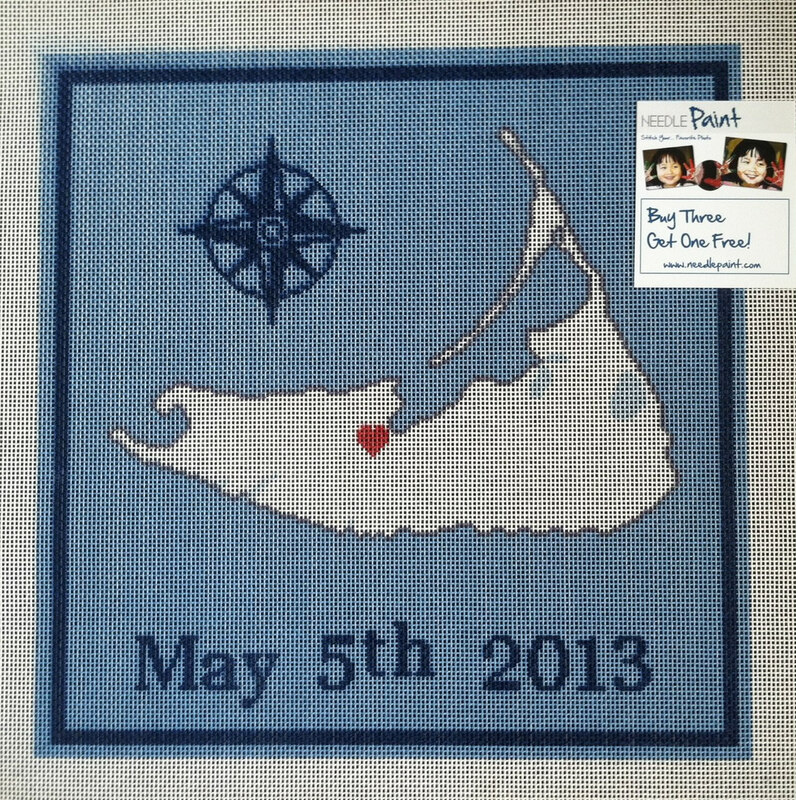 Thanks for sharing the photo Gloria, and great stitching! Summer Fun Custom Needlepoint Hat Bands! 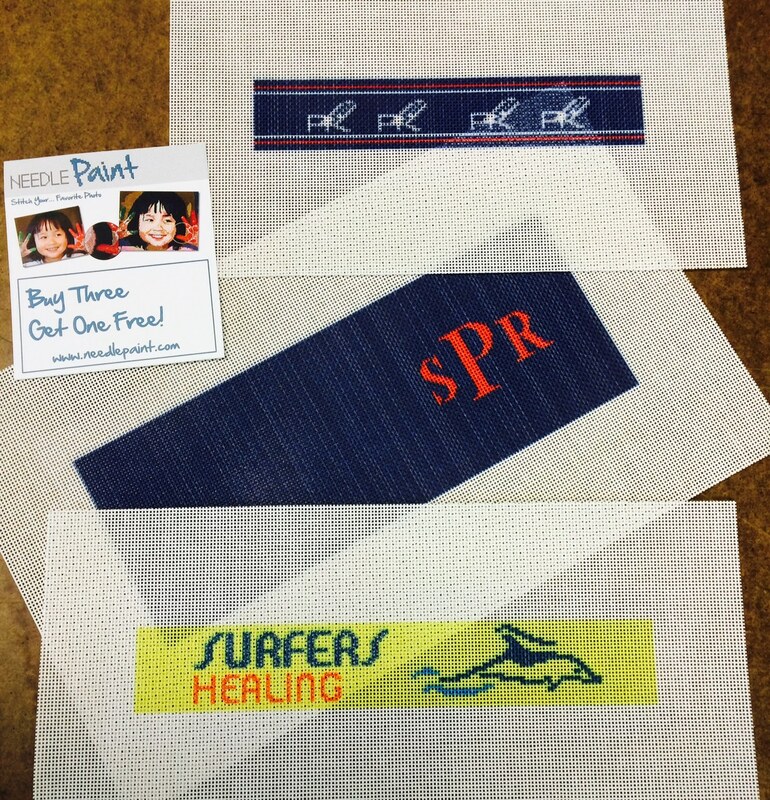 Peggy has been looking for projects to start this summer and decided to design some hat bands. Two of these designs are inspired by Hawaiian tattoos and the other is a fun floral pattern. She mentioned she designed the red one to do with triangle stitches, so stay tuned, I think she is going to work her magic! 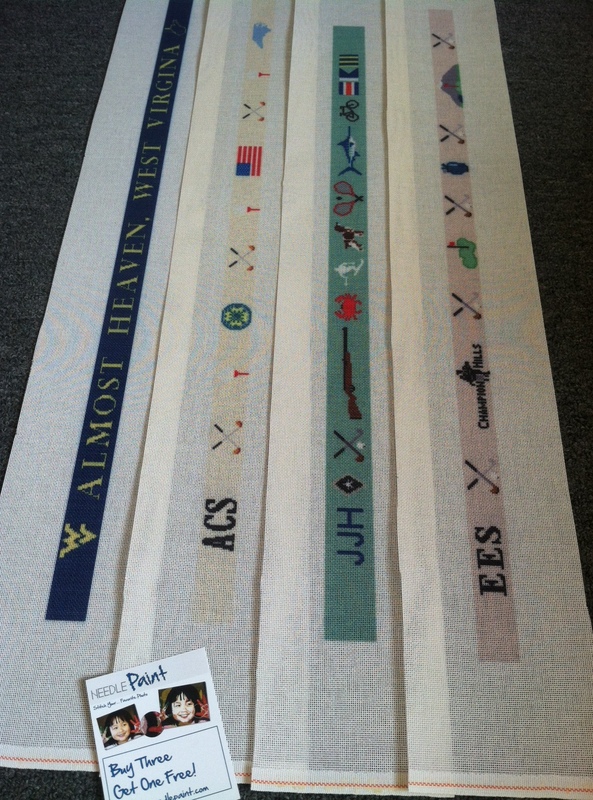 They are 23 inches wide and if you are interested they run $45 per design, or $115 for all three! 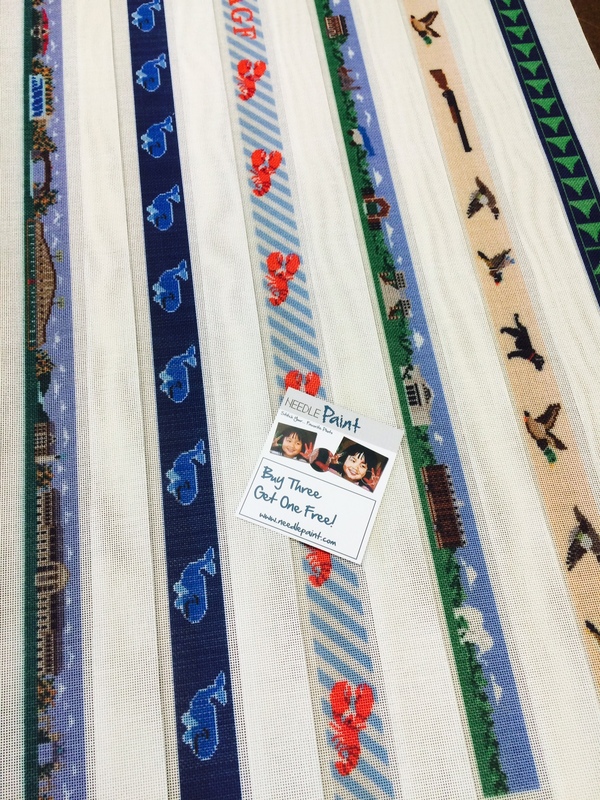 These make fast fun summer stitching, so if you are interested in a custom needlepoint hat band, feel free to get in touch with your ideas and we’ll help create your own needlepoint design. If you’ve been following our blog for a while, you know how much we love our pets! 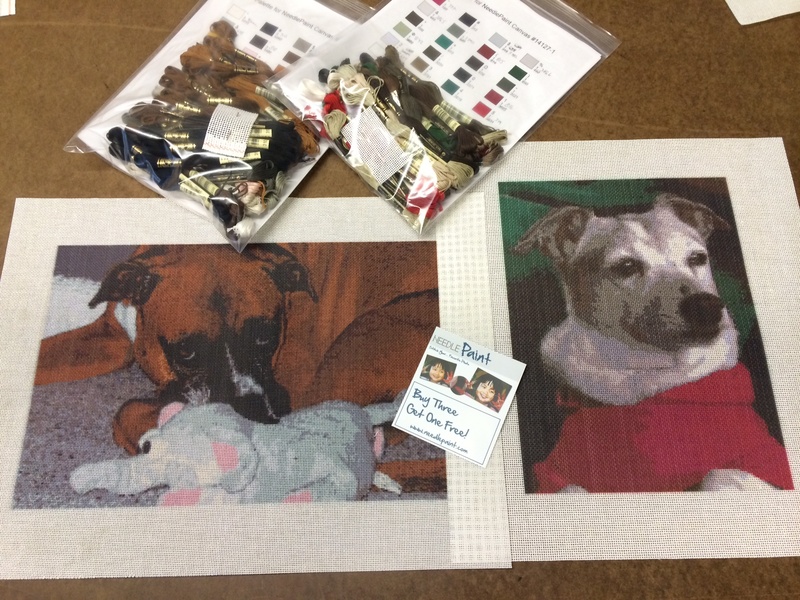 NeedlePaint probably has the best looking custom needlepoint kits for working needlepoint from photo. 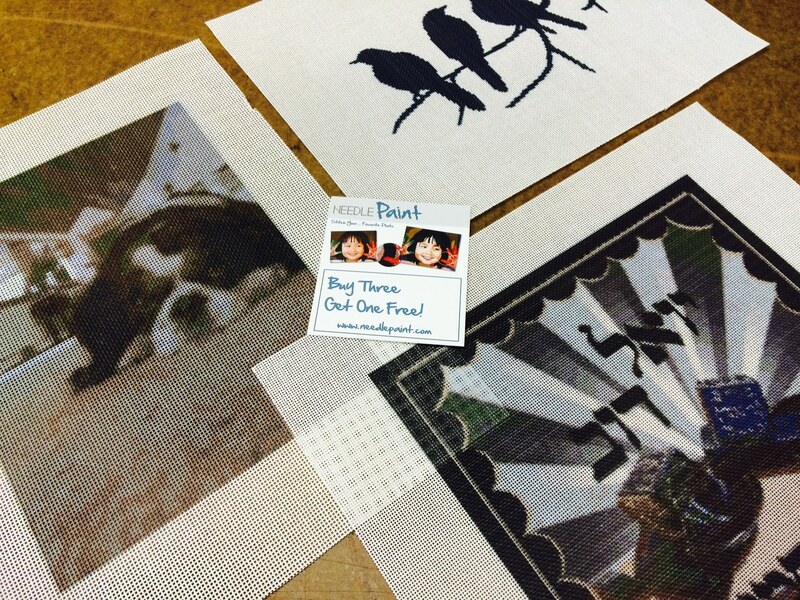 Have a look at our workshop table last Friday (see below) these are some fun projects! 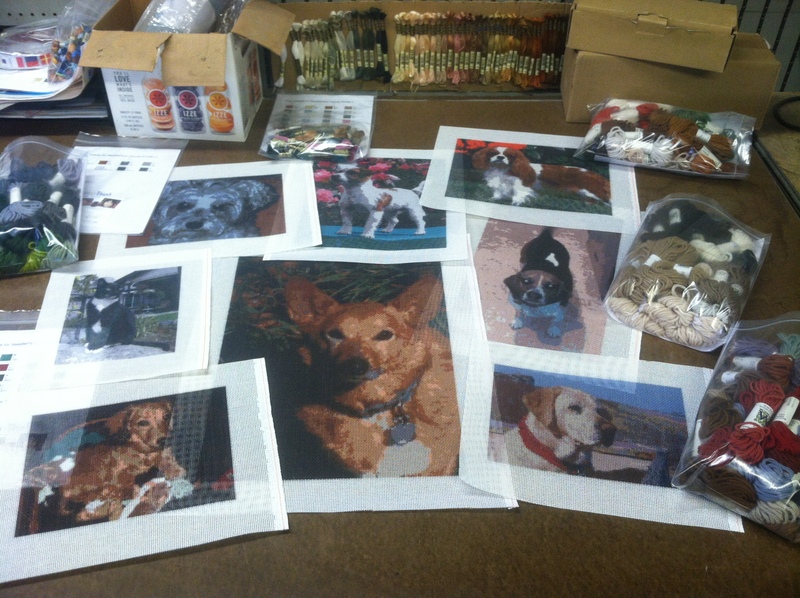 Our kits come with either Waverly wool or DMC floss, hand made and matched to your pet. Or if you prefer matching your own colors or working in a different fiber, our needlepoint canvases still come with a counted stitch guide and color chart matched to one of the two fiber options. I suggest using the DMC color palate if you are buying your own fiber, as there are many free color conversion charts available online. 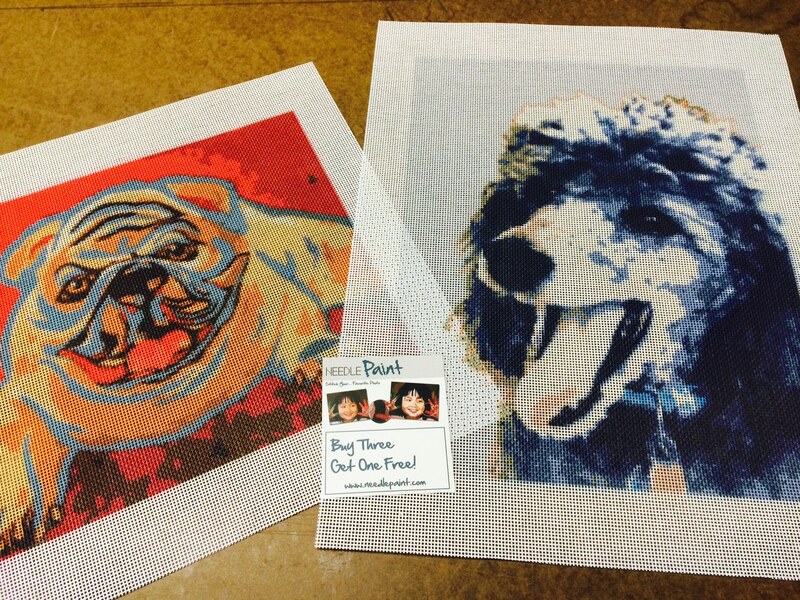 If you would like to see needlepoint dog breeds, we have some favorites on the website. 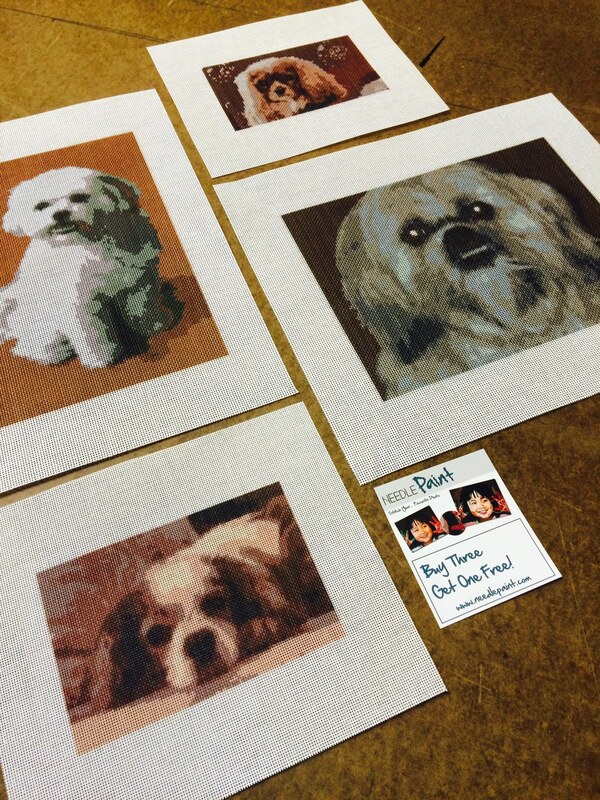 Or, if you prefer to stitch your own pet, you can needlepoint a photo using our online designer. You can customize the design size, mesh count, number of colors and fiber type with the click of a button! 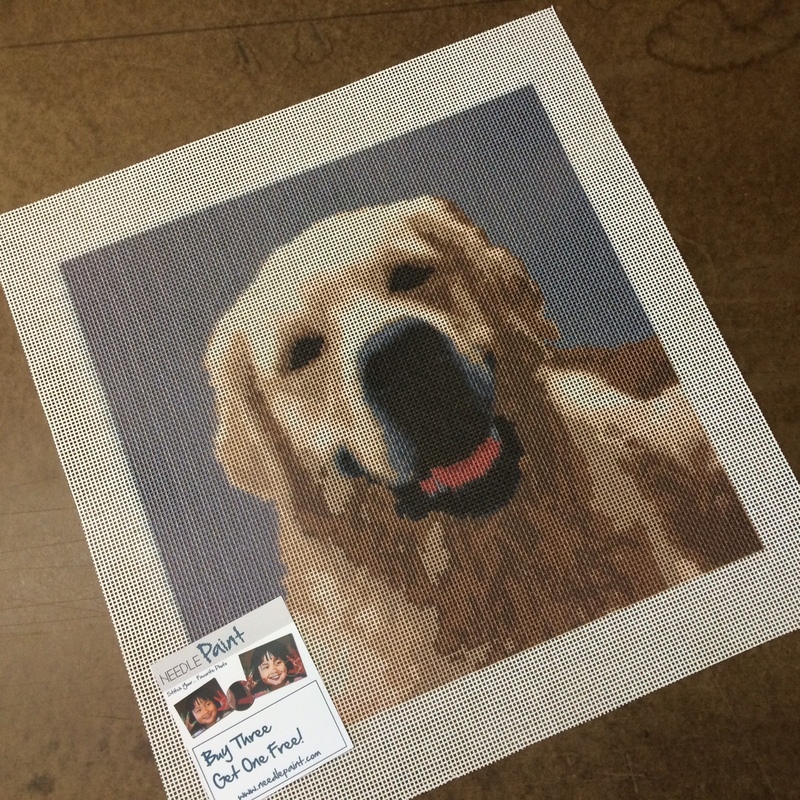 There is no fee to try out needlepoint designer so why not give it a try! ***If you are looking to stitch a graphic illustration, poem, or name, please contact us, our website is optimized for photos, but we can manually adjust your design so it comes out looking sharp.